The first Holdens were produced in 1948 and ten years later in 1958, more than 100,000 cars per year were being sold. 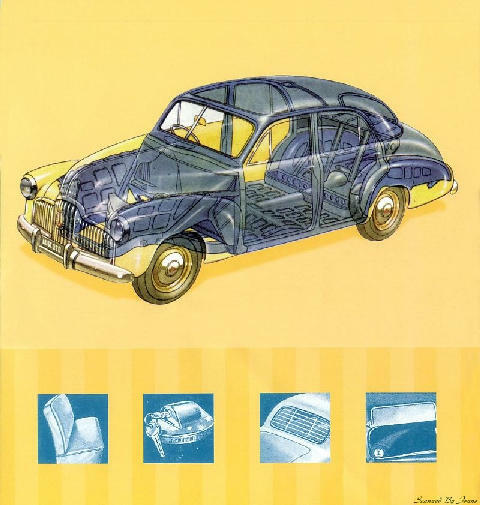 Although the models were designed in USA or Britain, they had their own specific national characteristics. 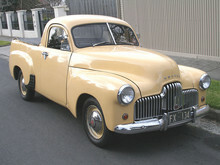 The Holden 48/215 was designed before World War II but did not leave the factory until 1948. It was the first truly Australian car. The six-cylinder overhead valve engine was 2,170 cc producing 61 bhp at 3,800 rpm and a top speed of 75 mph (120 kph). It had a monocoque body and space for five people.